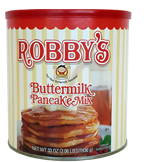 For over 50 years Robby's Buttermilk Pancakes have been a family favorite and now you can enjoy them in the comfort of your own home. 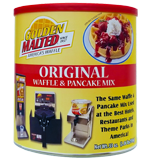 Our Robby's Batter is still made today the way it has been made since 1962...fresh buttermilk, real eggs, oil, and Robby's Pancake Mix! 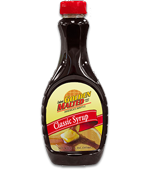 Make great-tasting, hot, fluffy buttermilk pancakes for you and your family! See how easy it is to make Robby's Buttermilk Pancakes at home! 3-Pack (3 x 33oz. canister) $12.33 per premium canister – SAVE $7.98! 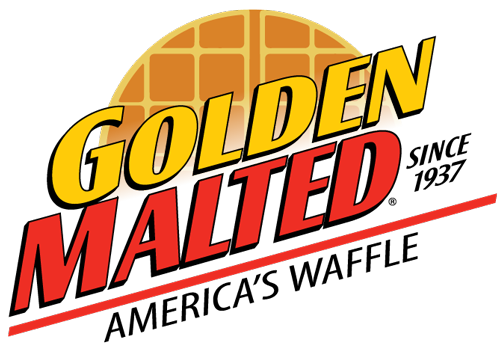 INGREDIENTS ENRICHED WHEAT FLOUR (NIACIN, REDUCED IRON, THIAMINE MONONITRATE, RIBOFLAVIN, FOLIC ACID), SUGAR, LEAVENING [BAKING POWDER (SODIUM ACID PYROPHOSPHATE, SODIUM BICARBONATE, CORN STARCH, MONOCALCIUM PHOSPHATE), SODIUM BICARBONATE], SALT, BUTTERMILK.